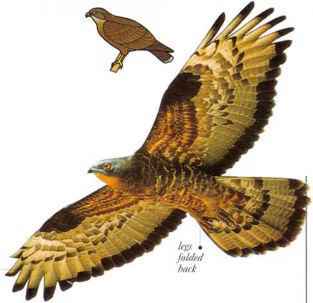 This unusual bird of prey obtains nine-tenths of its food by attacking the nests of wasps anil wild bees. It watches and follows the insects, digs out their nests, and takes honey, young, and adult insects. Dense leg feathering and heavy scales protect the bird Dark Phask from stings. It also eats larger animals such as mice and frogs. 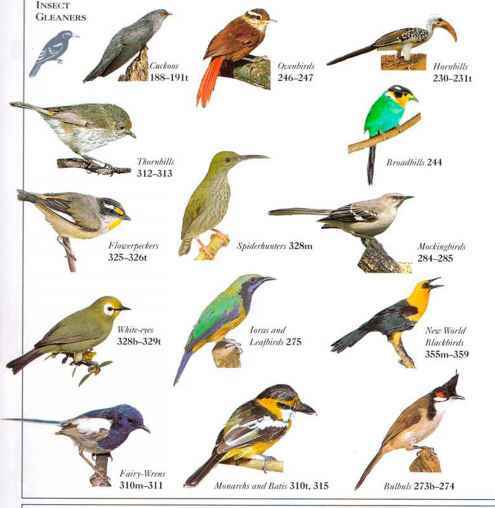 After breeding, the birds form flocks in which they migrate to areas where their prey is active all year round. • NEST A large, untidy cup nest made of sticks, high in a tree. -- p. 13). Variation is jjf seen most clearly underneath jHVp the wing.